Give a gift that's guaranteed to have gigantic appeal. Our generous Gallon Sized Tins may be filled with your choice of Popcorn, Pretzels, or Chocolate Chip Cookies. Also available unfilled. 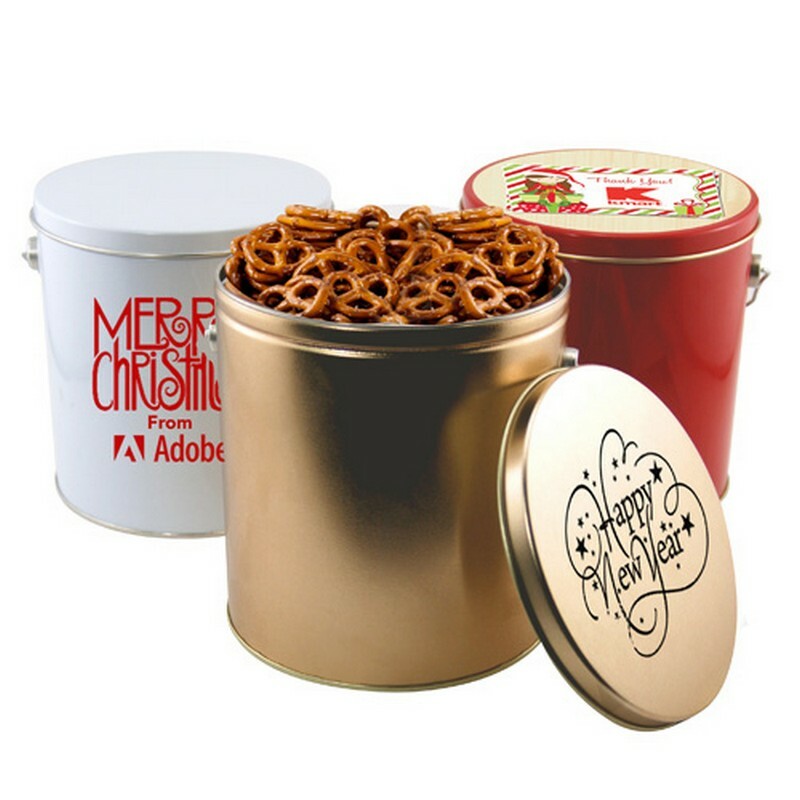 Tins packed in individual mailers. Bulk packaging. Also available with attractive season-themed 4 color process backgrounds. Tin: Silkscreen (One color imprint only) Set-up charge $50. Re-order set-up charge $30. Lid : Silkscreen Set-up charge $50 per color. Additional color run charge $.50 per piece. Re-order set-up charge $30 per color (Run charges apply). Direct Full Color: Set-up charge $45. Direct Full Color run charge $2.00 per piece. Re-order set-up charge $30 (Run charges apply).